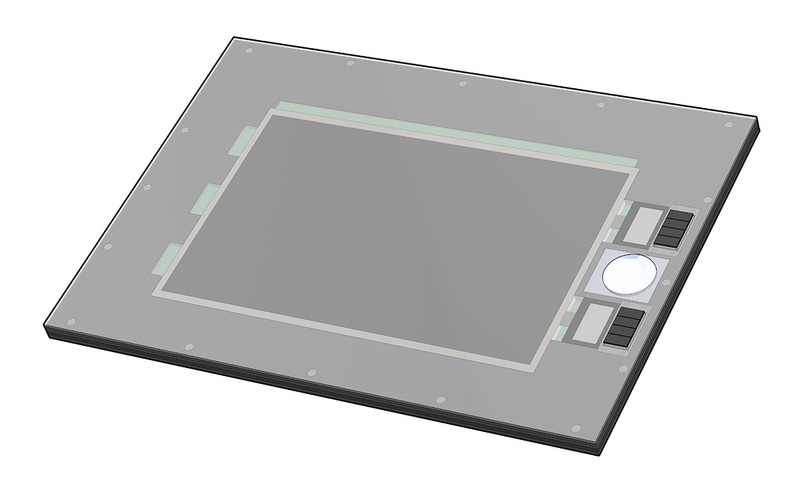 Design a new enclosure for my screen and Intuos PCB. 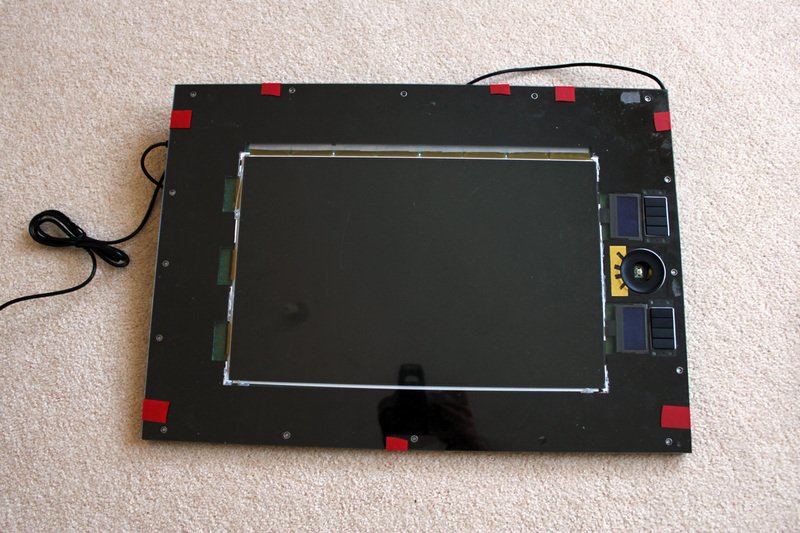 So if my project were to fail at least I could at least put the PCB in its original plastic enclosure and keep using the Intuos 4. I designed 2 new enclosures for my parts, one out of a machined HDPE block and an alternative design from laminated laser cut acrylic sheets. As I have access to a CNC milling machine I attempted to go for the HDPE block option but it was proven that my setup was not good enough to mill plastics (no cooling and improper clamps), so my test piece was distorted from the heat generated during the milling. 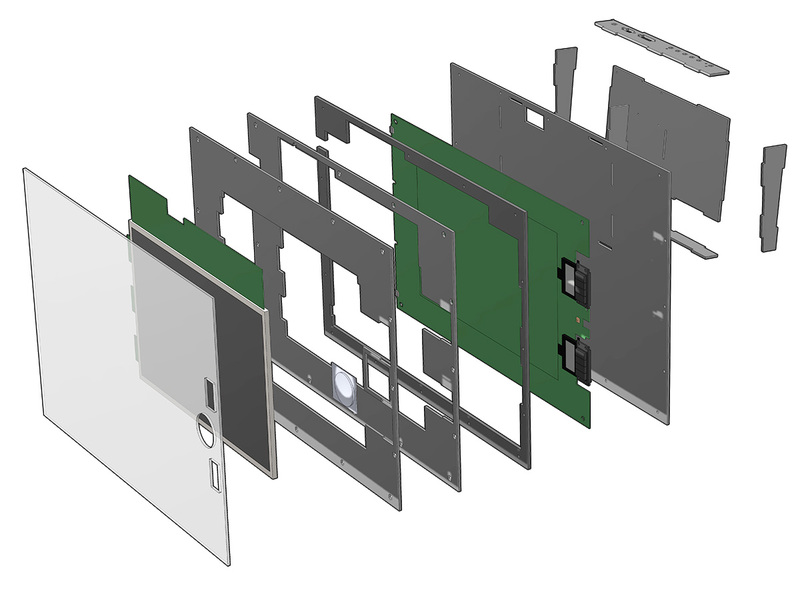 Note that the above design would only work with my hardware configuration and even so required some modifications. 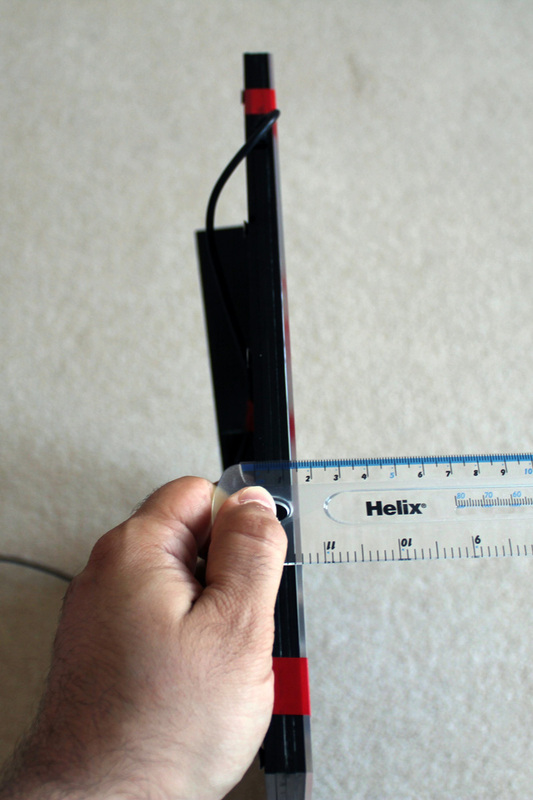 If you are making a DIY Cintiq, use the above as reference only. Once I got the pieces, I bonded them using pure acetone, same grade as the one used to remove nail colour. To do that you overlay the acrylic sheets and using a dropper you apply the acetone at the edges of your stack of sheets. Because of capillary force acetone spreads between the sheets and dissolves a layer of acrylic. Once it evaporates the next day, the sheets are bonded in a molecular level and it is impossible to separate them. I found this method online and originally I had some doubts as it seemed too easy and cheap to be true, but actually worked amazingly. 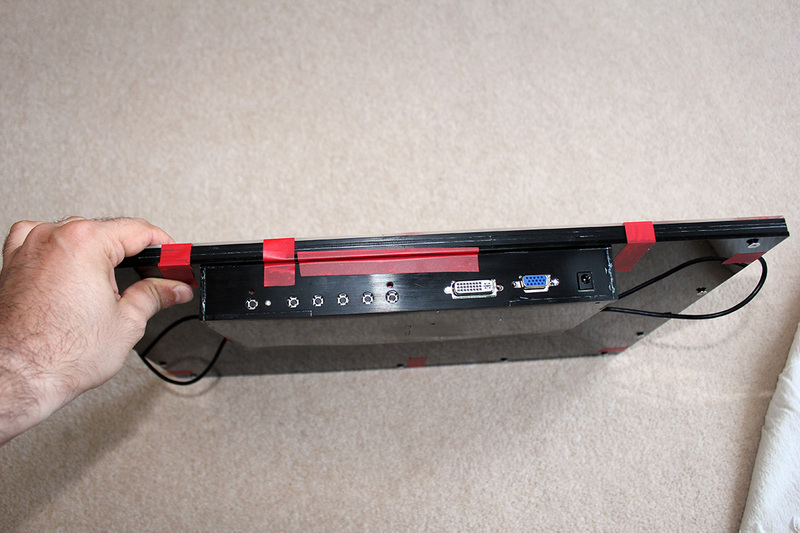 I used aluminium tape to shield the separate box housing the LVDS controller and inverter. 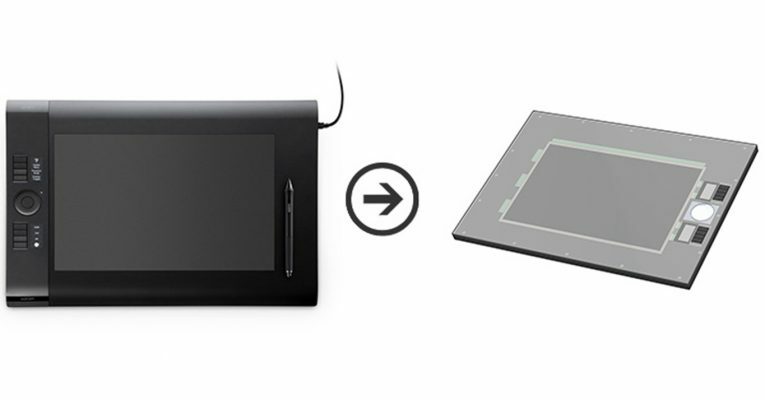 In a nut shell Wacom tablets work by creating electromagnetic force above their surface. The pen has a coil inside which effects this field in a way that the tablet can detect its coordinates and pressure level. 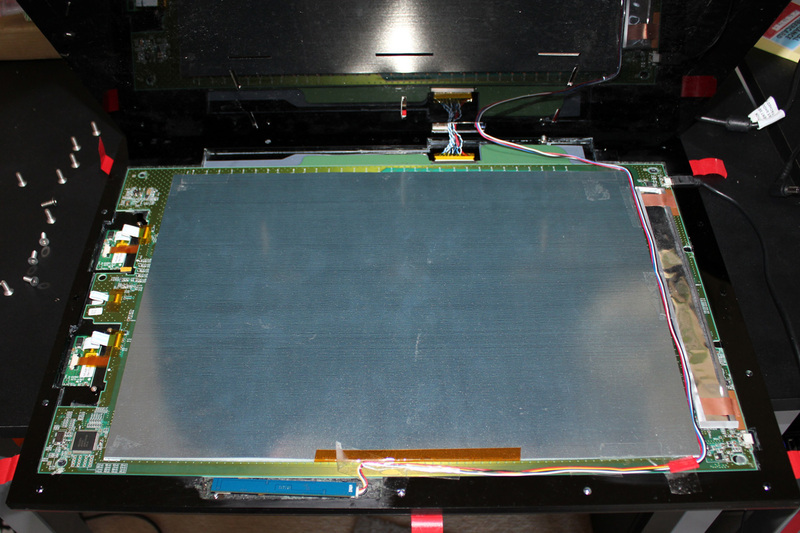 So it is vital to shield any electronics other than the Wacom PCB as they will definitely create interference. 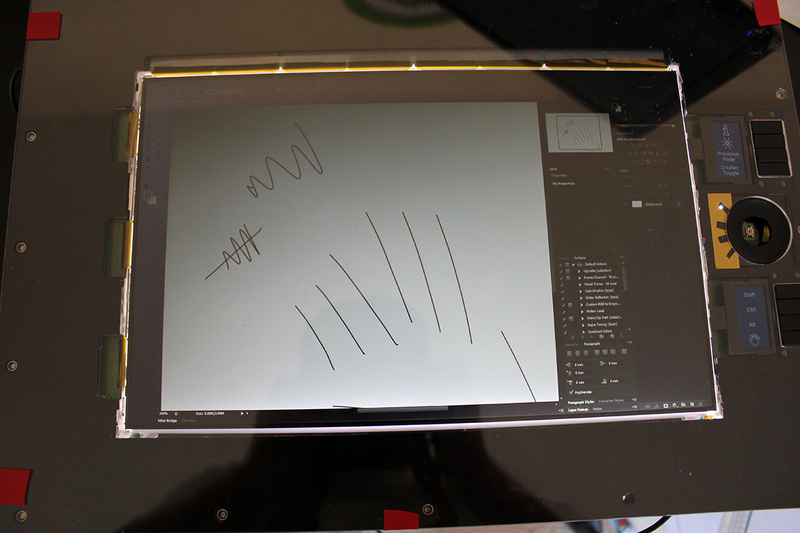 Most DIY Cintiqs and even Wacom Cintiqs suffer from jitter and random clicks which are really just poor shielding. Despite my efforts only the top half of the tablet worked and the jittering was horrible. I concluded that this was down to the force created by the CCFL light tube of the screen, which unfortunately you cannot shield efficiently without completely covering it and preventing light out. But fortunately I accidentally broke the CCFL while trying the setup! So I ordered and LED strip and its driver. The driver is basically just a low current circuit that gets 5V dc and outputs 12V dc. So neither this nor the LED strip can create a magnetic field strong enough to introduce jitter. 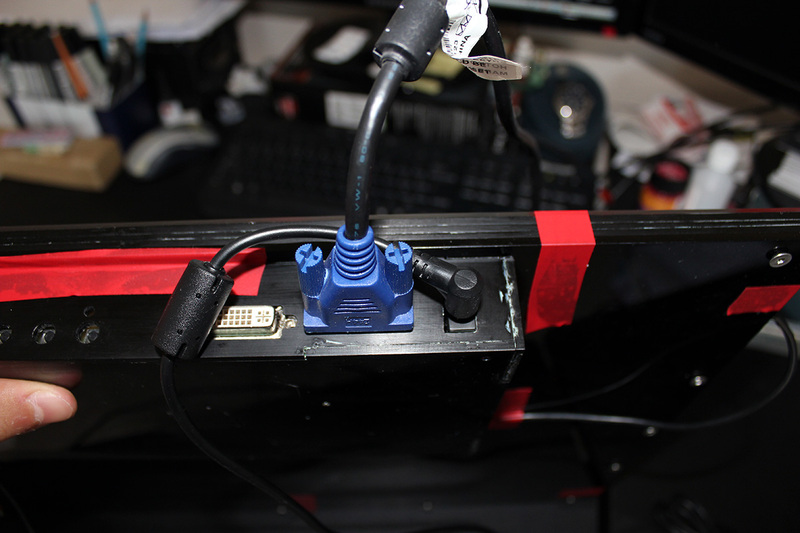 I did have though random clicks which I eliminated connecting the screen through the VGA cable instead of the DVI. It seems other people are dealing with the same issue. It is not clear to me why this is happening but I didn’t want to spend more time investigating since the problem gone away. At the moment there is a bit of jitter 1pixel wide at the bottom 10mm of the screen and while working for 1 hour I might get 5-10 random right clicks, but this is at an acceptable level. The assembly is held together with tape because I heavily scratched the front panel and I want to replace it as soon as I find time but otherwise the mod is working fine.